Ahlert/Young; Arlen/Harburg/Rose; Arlen/Mercer; Berlin; Burke/Spina; Clarkson/Clarkson/V; Cogane/Mysels/Rober;... Fine. In fine packaging. Paul McCartney-Kisses On The Bottom by Paul McCartney. Very Good. In very good packaging. 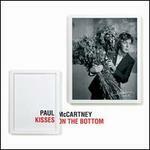 Paul McCartney-Kisses On The Bottom (Deluxe Edition Digipack) by Paul McCartney. 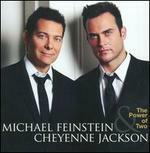 Ahlert/Young; Arlen/Harburg/Rose; Arlen/Mercer; Berlin; Burke/Spina; Clarkson/Clarkson/V; Cogane/Mysels/Rober;... Very Good. In very good packaging. Paul McCartney-Kisses On The Bottom by Paul McCartney. Good. Slight wear to edges of case Buy with confidence-Satisfaction Guaranteed! Satisfaction 100% guaranteed.